The Scholarship Endowment is a trust fund that was established in 1974 as a repository for donated funds with the sole purpose of providing a permanent source of annual income for athletic scholarships. The Fund’s earnings augment the regular yearly contributions to The Citadel Brigadier Foundation, Inc. Gifts can be made to Scholarship Endowment as memorials in lieu of flowers and/or as a means to honor an individual affiliated with The Citadel. A portion of the interest and earnings derived from the donations to The Citadel Brigadier Foundation Scholarship Endowment is utilized to fund scholarships; thus the scholarship will always exist. > WHAT IS THE ATHLETIC SCHOLARSHIP ENDOWMENT? While all gifts are welcome and appreciated, the Athletic Scholarship Endowment allows donors to have a lasting impact on Citadel Athletics. These gifts directly benefit cadet-student-athletes and create a legacy that will support Citadel Athletics now and in perpetuity. The program is aimed to help fund cadet-student-athlete scholarships. Endowments are invested funds that annually support cadet-student-athlete scholarships. As annual fund gifts from donors that help scholarship costs can fluctuate from year to year, establishing endowed scholarships is one of the department’s highest priorities. Individuals who choose to make endowment gifts are helping sustain the continued excellence of Citadel Athletics. 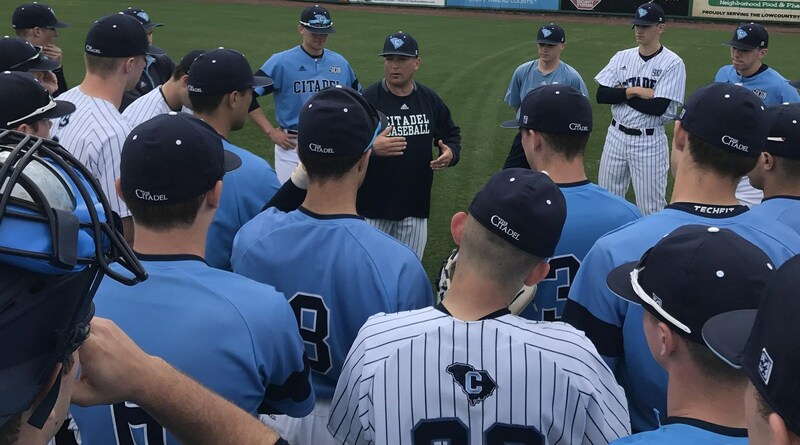 To meet the annual scholarship needs for Citadel cadet-student-athletes, annual fund gifts are combined with the spendable income from endowed funds. Endowed scholarships may be established with a minimum gift or pledge of at least $25,000 through a single gift or through installments pledged over a period of time mutually agreed upon by the donor and the Brigadier Foundation (usually five years). Provides a named endowed partial scholarship for a cadet-student-athlete. Endowed funds at this benchmark support a minimal portion of tuition for a cadet-student-athlete. Provides a named endowed scholarship for a cadet-student-athlete. Endowed funds at this benchmark support the full cost of a cadet-student-athlete’s scholarship, which includes tuition, room, board and books, cost of attendance. There are many ways to establish an endowment, and the arrangements for every gift can be personalized to fit your specific needs. Gifts of cash and securities are traditional forms of support; however, planned gifts including bequests, charitable gift annuities and charitable remainder trusts may allow you to make significant contributions that may not otherwise be possible during your lifetime. 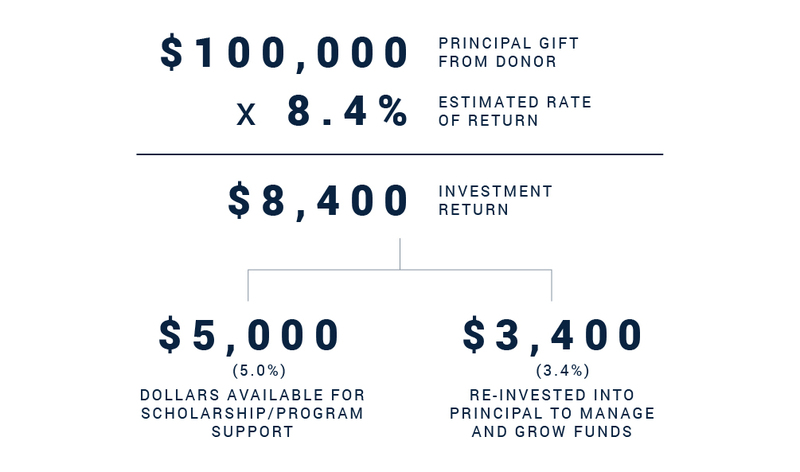 All endowment gifts are 100% tax deductible.